Moon in Aries in the horoscope native is always making choices. In essence he is deciding “Which me do I want to be?” The real me who is patient, truthful and considerate of my friends and family or the angry, impatient, bullying me who demands his own way? Sometimes he has to see his way through a host of charades! He learns best by direct experience. Be consistent in teaching him the consequences of wrong action as well as the rewards of deeds well done! He may perceive his mother as dynamic. Perhaps she encourages him to be independent. If afflicted, he may perceive her as impatient, overbearing, angry. Taurus in the horoscope is an Earth sign on the feeling cross. Its symbol is The Bull. Natives with the Moon in Taurus in the horoscope typically have strong, stable emotions and tends to attract the perfect environment for their upbringing. This placement often indicates support and good fortune from friends and relatives. Your native values constancy and security in all things and possesses a good business sense (if well aspected). He is, by nature, somewhat domestic and enjoys nice surroundings and beautiful clothes. He could hold on stubbornly to attitudes, things and habits best left behind! Sometimes Moon in Taurean natives may need help getting started on projects. If over-indulged at home, they can become complacent. These natives are natural gourmets but need sound eating habits from birth. This lunar placement usually indicates a good relationship with the mother. The native sees her as materially and emotionally supportive. If afflicted, the relationship with the mother may be highly emotional. The native could perceive the mother as possessive, or may stubbornly buck against her authority. The Moon in Gemini in the horoscope native perceives his mother as busy and interested in his education. If afflicted, the native may feel a lack of emotional warmth from her, or may not be sure what’s expected of him. In some cases, a sibling (Gemini in the horoscope) helps the mother (Moon) raise the native. 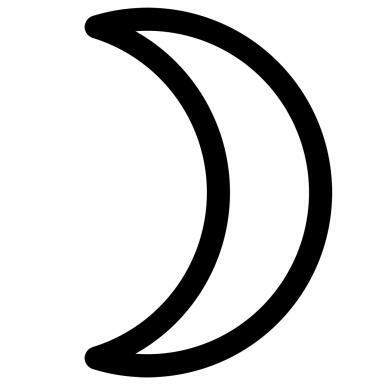 The Moon’s aspects could describe a close or difficult relationship with a brother or sister. Cancer in the horoscope is a Water sign on the action cross. Its symbol is the Crab. Natives with the Moon in Cancer in the horoscope seek to nuture and be nurtured. Native s would probably enjoy caring for younger native pets, and plants. Natives are exceptionally sensitive, picking up easily on the mood and feelings of others. This is a good placement for service-oriented careers; counseling, nursing, restaurants. Natives are probably quite emotional, and has a natural sense of that which pleases, but may swing from the heights to the depths in a single day (or hour!). Learning to hold his harmony may be a lifelong endeavor! Moon in Cancer in the horoscope native thrive when taught self-discipline tempered with much love. The reinforcement of positive habits in daily life like good eating habits, keeping their rooms in order, waking up on time help them learn control of their inner feeling world as well. Cancer in the horoscope can be overly protective (or protected), but are generally good at parenting and creating a home. Natives need to feel bonded to the family, and especially to the mother but you should balance caring with independence lest he be afraid to let go of Mama’s apron strings! Encourage self-reliance and teach him, when appropriate, to make his own decisions. Cancer in the horoscopes is known for good memories. He is apt to respond more to feelings than to logic and reason. Keep communication open but discourage whining and emotional manipulation. Native with their Moon (emotions) in this sensitive sign often have to overcome fear, perhaps of abandonment or of condemnation. Procrastination and/or indecisiveness could be a symptom of fear or self-indulgence. If afflicted, the mother could be perceived as emotionally unstable or could be too indulgent or protective. Patterns established during native hood influence the Moon in Cancer in the horoscope native for life. Leo in the horoscope is a Fire sign on the feeling cross. Its symbol is The Lion. Moon in Leo in the horoscope natives express their feelings ardently, dramatically, and with strong convictions. (Sometimes the little lion roars!) Natives with this placement take their feelings seriously and expect you will, too. They can feel deeply hurt when other natives or adults make fun of them. Above all, youngsters with the Moon in Leo in the horoscope crave attention. “Look at me!” their actions say. If Mom or Dad are too busy to notice, watch out! Often, negative attention is better than none at all in his mind. The Moon in Virgo in the horoscope native may perceive the mother as hard working, a natural teacher, self-reliant. If afflicted, and especially if the mother tends to be critical, nagging or complaining, the native could feel his best is never good enough. Libra in the horoscope is an Air sign on the action cross. Its symbol is The Scales. Natives with the Moon in Libra in the horoscope are friendly. They need to have close relationships to feel happy. They seek to understand about themselves through others. Natives with this placement can be very sensitive to what other people think about them. Above all, they seek to please and are capable of putting forth their best to measure up to your praise or conversely of acting out negative behaviors to please an adult or friend who somehow doesn’t see the best in them. Your native needs to have a strong sense of identity apart from the opinions of others. Teach him to “DARE TO BE TRUE.” your native is apt to be courteous, a natural charmer, with an inborn sense of refinement and graciousness you can cultivate. He benefits by early exposure to the social graces and feels at peace in beautiful surroundings. This native of the scales can feel unbalanced, uncomfortable, even angry in a discordant environment. He seeks peace and inner balance. He tends to compare himself to others and unless he has learned to feel good about himself may place himself at the low end of the scales! he is apt to be giving, conciliatory, and even flattering in relationships, and able to adjust to almost any situation. Reflective, tactful, your native knows how to express understanding. The Moon in Libra in the horoscope native may be prone to dishonesty, sometimes to avoid confrontation or anything that would rock the boat! He could withdraw or show visible stress in a household where discord is the norm. Nevertheless, he needs to learn to stand up for himself and for truth. Stress honesty at all times in your household! Let him know if you catch him in a fib. False charm can be manipulative, a mask of hypocrisy hiding one’s true intention. The Moon in Libra in the horoscope native may perceive the mother as lovely and sociable. Scorpio in the horoscope is a Water sign on the feeling cross. Its symbols are the lowly scorpio in the horoscope, the phoenix and the high soaring eagle. Your native is likely to be exceptionally sensitive, picking up easily on other people’s thoughts and motivations. The Moon in Scorpio in the horoscope native is so sensitive that occasionally he may withdraw, perceiving that an adult is capable of physically or emotionally hurting him. Because he experiences life so intensely, the Moon in Scorpio in the horoscope native is often considerate, kind and fiercely loyal, if not sometimes possessive. He seeks strong attachments and a deep bonding with his mother. Scorpio in the horoscope is a powerful sign and natives with this lunar placement tend to respect power as rules, laid down and CONSISTENTLY applied with love. Your native has the inner strength to say “No!” and to go without, if need be, but desire can be very strong in this sign. He needs to have a clear idea of right and wrong from babyhood. He needs to develop good habits concerning belongings, money and the balance between material and spiritual things. (And that, of course, means good examples at home!) he may need encouragement to be willing to share. Scorpio in the horoscope is ruled by Mars and Scorpio in the horoscope natives can become intensely angry or manipulative when they don’t get their way. Scorpio in the horoscope energy is dynamically creative. Once engaged, your native could dive into projects, carrying them out to the point of perfection. Your native may not always share his feelings with you, preferring to keep them a secret. Let him know he can trust you. He tends to want to feel in control of himself and his environment but resists being controlled. Secretive, he is not at all superficial but always get to the heart of things. This is a good placement for business and politics, often indicating executive ability. Your native has a sense for power, wealth, and passion. He may perceive his mother as creative, strong and caring. If afflicted, the mother could be perceived as overbearing, powerful, intense. Natives with the Moon in Sagittarius in the horoscope may feel justified in being blunt, but do not allow your native to be rude nor inconsiderate. He could resent physical restrictions such as playpens and boundaries, even school chairs and mental restrictions such as repetitive math and language drills but freedom without limits is no true freedom at all! Encourage patience and thoroughness in his work. The archer’s arrow has to reach the mark! Your native has a strong imagination. He may have a love of horses and the outdoors. He could perceive the mother as joyful and expansive, a teacher. He could resent it if the mother is absent or if there’s a lack of clear direction. Your native may feel deeply but typically, the native with the Moon in this sign ruled by Saturn, will work hard at controlling his emotions. He may feel a need to prove himself, to make it in this world. Your native may tend to be hard on himself. Avoid being judgmental with him as he could internalize condemnatory messages. An air of personal dignity could mask real or imagined hurts. He is happiest in a structured environment. The mother could be perceived as ambitious, a good manager, a rock. If afflicted, the mother could be perceived as cold, overly strict or overbearing in someway. Aquarius in the horoscope is an Air sign on the feeling cross. Its symbol is The Waterbearer. The Moon in Aquarius in the horoscope native may be a true lover of humanity. Typically, he is altruistic. He can relate to people from all different backgrounds and walks of life. You may find that your native never met a stranger. Your native has a natural impulse to freedom, is inventive and enjoys finding new ways to do things. Computers, electronic devices and gadgetry may capture his imagination. Your native could seem somewhat detached, less emotional than other natives. He may identify strongly with his friends or peer groups. He may need to develop sensitivity, tolerance and kindness. He could be futuristic, ahead of his time, and highly independent.